The founders of DDI (Barbara Swain, J.D., Ph.D. and Dan Gallipeau, Ph.D.) were among the first in the trial consulting field to pioneer and perfect a thematic approach to case presentations, and to develop and promote the use of written juror questionnaires. Before forming DDI, Dr. Swain and Dr. Gallipeau had accrued experience as trial consultants at LSI. Each founder has over 20 years of experience as a trial consultant. DDI has built a team of excellent consultants who have extensive experience in a wide variety of cases nationwide. Since the early years, the DDI founders along with their consultants have handled over 1,500 cases involving a wide variety of issues in a large number of venues. Given the depth of our experience with different case types and the large number of venues we have worked in over the years, our consultants are uniquely situated to handle a large variety of cases. DDI consultants' experience with a diversity of cases makes them better able to meet the challenges of your case. 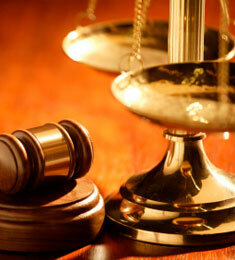 All experts in the field, with specific training related to the psychology of juries and juror decision making. This combination of educational and real world litigation experience makes the DDI team the team you want to have on your side. Additionally, DDI has built a database of over 20,000 juror responses over the years. DDI frequently draws upon that database to compare the results of current cases with past cases. Database comparisons allow the DDI team working on your case to answer questions such as: a) Whether the research sample was unique or within expectation; and, b) Whether the research results were unique or within expectation (i.e., is your case better or worse than similar cases?). DDI has experience in over 44 states and 140 venues, including Puerto Rico and Canada. DDI's caseload has included high profile cases and cases involving clients based outside the United States. DDI has worked cooperatively with our clients' public relations departments and firms to develop a message that will be consistent both inside and outside the courtroom. We also have experience with European and Pacific Rim clients, and understand the unique challenges that are presented at trial.